On the 4th and 5th of June, the project and the research group 'Social History of Tibetan Societies' jointly organize a conference, titled Gender Issues in Tibetan Buddhist Societies, 17th-20th Centuries: A Conference in Memory of Anne Chayet. On the 12th of May, Bryan Lowe (Vanderbilt University) will give a guest lecture, titled Ghastly Hauntings and Divine Justice: A New Approach to Ritual, Ethics and Kingship in Ancient Japanese Buddhism. On the 9th of April, Jeannine Bischoff (University of Bonn) will give a guest lecture, titled To the feet of the leader of the two systems, the precious preserver of the law: Aspects of Life of Monastic Dependent Peasants in pre-1959 Tibet. On the 31st of March, project member Berthe Jansen will give a guest lecture at Ghent University, titled Crime and Punishment in Buddhist Monasteries in Pre-modern Tibet. On the 24th of February, project member Berthe Jansen successfully defended her PhD dissertation. On our Previous Events page you can find the photos that were made during the ceremony and the workshop that was organized on the occasion of her defense. On the 24th of February, the project organizes a workshop titled Between Tibetan Monasticism and Society on the occasion of the PhD defence of project member Berthe Jansen. On 11 and 12 December a workshop titled Just Buddhists? will be organized in cooperation with the project at SOAS. On December 5th Ann Heirman (Ghent University) will give a talk at IIAS, titled From the cleanliness to the purity: bodily care in Buddhist monasteries from India to China. On November 28th Berthe Jansen (Leiden University) will give a guest lecture at the Oriental Institute of Oxford, titled Where Buddhism meets Tibetan social policy: Monastic Guidelines (bca’ yig) in pre-modern Tibet. Please find the conference photographs online, to be viewed on the Buddhism and Social Justice Conference page. On September 16th Dennis Hirota (Ryukyoku University) will give a talk at IIAS, titled Shinran and The Sutra of Immeasurable Life: the Buddhist Thinker as Reader. Our conference Buddhism and Social Justice from 23-25 April was a great success. We hope to share some resources and photographs in the near future! Our sincere thanks again to all participants and guests. Please find the info about our upcoming international conference on Buddhism and Social Justice, 23-25 April 2014 here! On January 16, Dr Michael Radich (Victoria University of Wellington, New Zealand) will give the lecture "The Authorship and Provenance of the Chapters of the Suvarṇa[pra]bhāsa Ascribed to Paramartha, and Implications for the History of Buddhist Texts"
Tax, Corvée and Community Obligations in Tibetan Societies. For more information, see the programme here. Our CfP has been extended to 20 September. Please see the Home page for all info! A One-year Post-doctoral Fellow Position has opened in our team. Apply following the vacancy. Venerable Dr. Yifa will give a talk titled "The Current State of Buddhism in China" on Friday May 24, from 15.00 - 16.30 in the Green Room in the Arsenaal. Berthe Jansen will give a lecture titled "How to Tame a Wild Monastic Elephant: Drepung Monastery According to the Great Fifth"
The project members of Buddhism and Social Justice wish you a happy 2013! We are also proud to announce the first event of the new year. 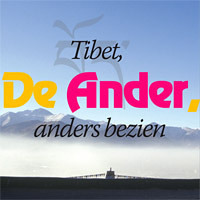 Berthe Jansen will speak on Tibet at the SIB (Studentenvereniging voor Internationale Betrekkingen)on January 14th. BA course Religious Studies "The transformation of Buddhism across Central Asia from India to China"
MA course Religious Studies "The Way of Tea, the Way of the Buddha"
Our post-doctoral fellow Vincent Tournier will give a lecture in Vienna next week. 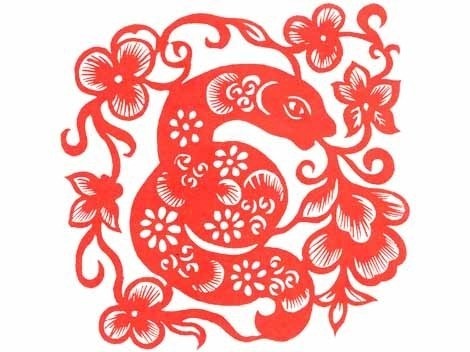 We would like to wish everyone a happy 2012. A big welcome to our new colleagues in the Project! Updates will follow soon. In the past months we have altered and updated the site in various ways. Please feel free to contact us with any feedback. The info on the Numata talks has been updated. Also, the information on the Studium Generale Lecture Series "Social Justice. Just How?" has been added. We have added the programme and extra information on this year's Numata Professor, Vincent Eltschinger. We have added an RSS Feed to the website. Please save it to your RSS reader for all our latest news! On July 1st the International Institute for Asian Studies will host Presenting Tibet: Celebrating the Contributions of E. Gene Smith to Tibetan Studies in Leiden. Added: the page "Buddhist Studies at Leiden University"
Professor Jonathan Silk will speak at the Buddhist Festival in Leiden on Sunday May 29th. Buddhism and Social Justice PhD Candidate Berthe Jansen will be giving a talk on May 19th. Open positions: BaSJ is taking PhD and Post-Doc applications! Version 1.1 of the site is online!